The rivalry between Australia and India has been the most keenly-contested in Test cricket over the last two decades or so, and has produced some of the most memorable matches ever seen. As yet another Test series between the two teams gets underway today, let us go down memory lane to pick the best of the matches. Admittedly, it was a bit difficult to reduce the list to just five. India were under pressure to fight back after Bob Simpson’s Australians won the first Test by 193 runs. Just before the start of the game, the visitors suffered a blow as Norman O’Neill pulled out due to stomach pains, leaving them a batsman short. Half-centuries from Peter Burge (80), Tom Veivers (67) and Barry Jarman (78) helped Australia recover from 53/3 to post 320, with Bhagwat Chandrasekhar (4/50) being the pick of the spin-heavy Indian bowling. India replied strongly, with captain Mansur Ali Khan Pataudi scoring a fluent 86, well aided by Motganhalli Jaisimha (66) and Vijay Manjrekar (59). The last four wickets added as many as 153, as India took a narrow 21-run lead. In the second innings, Bill Lawry (68) took charge early before Bob Cowper and Brian Booth (the duo put on 125 for the fourth wicket) took over. Australia were cruising at 246/3 when left-arm spinner Bapu Nadkarni had the former caught behind for 81. This triggered a startling collapse, as Nadkarni (4/33) and Chandrasekhar (4/73) spun a web around the rest of the batsmen. Australia lost 6/28 to be all out for 274, setting India 254 to win with quite some time left. Starting the final day at 74/3, the hosts looked set for defeat when they slipped to 122/6. A change in the batting order helped though, as Pataudi (53) and Manjrekar (39) put on 93 for the seventh wicket, but even at 224/8 the Aussies had the edge. Chandu Borde however scored an unbeaten 30, scoring a boundary off Veivers to bring up a two-wicket win with half an hour to spare, delighting the 42000-strong crowd. The series was drawn 1-1. Another two-wicket win, but this time for Australia. The first Test at Brisbane had been a humdinger in itself, with the hosts winning by just 16 runs. The Packer exodus had robbed Australia of many big names, but that was no hindrance to them. After Bishan Singh Bedi decided to bat, Chetan Chauhan (88) and Mohinder Amarnath (90) added 149 for the second wicket, which was the cornerstone of India’s formidable 402. Captain Bob Simpson then proceeded to play a brilliant innings, scoring 176 as Australia replied with 394. He put on 101 for the fifth wicket with Steve Rixon, while his opposite number Bedi took 5/89. In India’s second innings, the second-wicket stand starred again, this time Sunil Gavaskar (127) joining hands with the in-form Amarnath (100). But on the fourth day, India, in the pursuit of quick runs, went from 240/1 to 330/9, upon which Bedi declared. Australia, chasing 339, ended the day at 25/1, thus setting up a riveting final day. 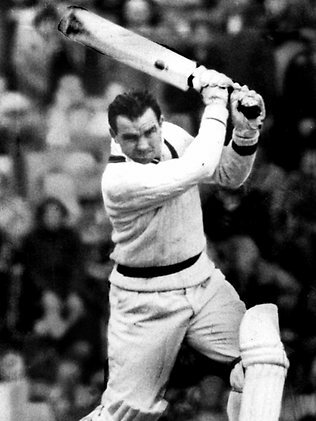 Tony Mann, batting at number three as a nightwatchman shocked India with a brisk 105 in three hours, and he put on 139 with David Ogilvie for the third wicket. Bedi removed both of them to have the score at 195/4, but then Peter Toohey (83) added a match-winning 100 for the fifth wicket with Simpson. Bedi tried his best, taking 5/105 (10/194 in the match), but there was no further damage after 330/8, and Australia reached 342/8 to complete a pulsating win with 22 balls to spare. The five-Test series was one of the most thrilling played – India won the next two Tests easily before Australia took the decider at Adelaide, where India fell only 47 short while chasing 493. The footage of this match played at the Eden Gardens is sure to give goosebumps to every Indian fan even after nearly 14 years. Steve Waugh’s Australians came into the series having won 15 games on the trot, and duly made it 16 by thrashing the hosts by ten wickets in the first Test at Mumbai. They continued their ruthless dominance at Kolkata, first scoring 445 in the first innings, with Waugh getting 110 and Matthew Hayden 97. 20 year-old off-spinner Harbhajan Singh became the first Indian to take a Test hat-trick, and he finished with 7/123, reducing Australia to 269/8 before Waugh frustratingly put on 133 with Jason Gillespie for the ninth wicket, and a further 43 for the last wicket with Glenn McGrath. India had lost the advantage of the first day, and if that was not worse enough, they were shot out for 171 in reply. Only VVS Laxman (59), playing at number six, showed fight as McGrath (4/18) rattled the top-order. Forced to follow-on, India ended the third day at 254/4, still 20 runs behind and a 17th consecutive Australian win was just a matter of time. On Day 4, the unthinkable happened. 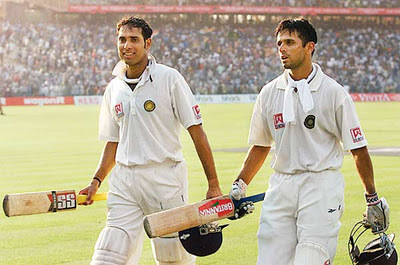 Laxman and Rahul Dravid were the overnight batsmen – the former was promoted to number three while the latter batted at number six due to ordinary form. Between them, they scripted perhaps the most amazing comeback ever – they batted the whole of Day 4 without being dismissed. Early on Day 5, they were finally separated when Laxman was out for a gargantuan 281 in 452 balls with 44 fours (then India’s highest individual score, and arguably the greatest innings by an Indian) while Dravid himself made 180. 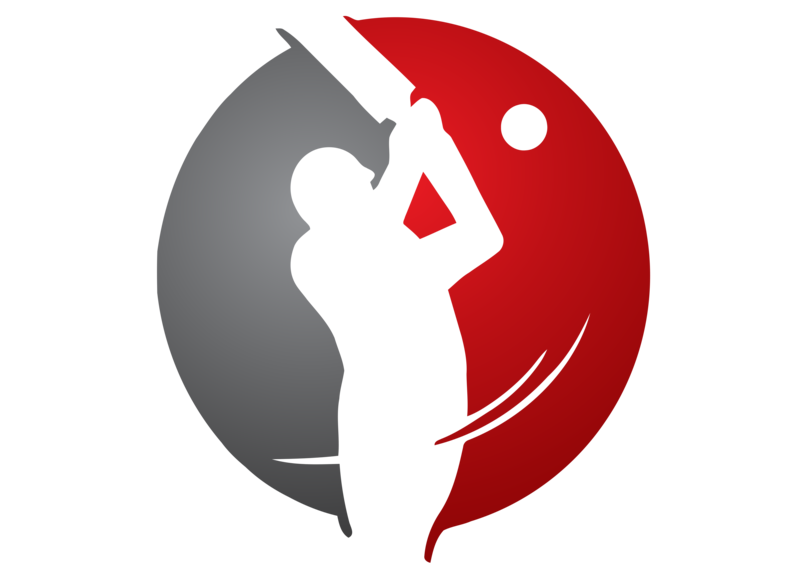 The duo shattered the Australian bowlers by adding a record 376 for the fifth wicket. When India finally declared at 657/7 (the second highest ever total after following on), they had 75 overs to stop Australia from getting the required 384. Australia, being themselves, began to attack but it would not last long. Harbhajan (6/73, 13/196 in the match) and Sachin Tendulkar (3/31) chipped away at the middle order, and Australia went from 106/1 to 212 all out, giving India the most amazing victory of all time in front of a crowd of more than 90000 at cricket’s then most imposing amphitheatre. This 171-run win (only the third by a team following on), achieved with 39 balls left, made India believe in themselves whereas Australia’s relentless march had come to the most unexpected of halts. Just two days after the Eden Gardens epic, it was time for the series decider at Chennai, and it proved to be yet another thrilling Test match. The unstoppable Harbhajan was at it again, as he picked up 7/133 to restrict Australia to 391 after they were 340/3, the collapse of 7/50 starting when Steve Waugh was given out handled the ball. The burly left-handed opener Matthew Hayden made the bulk of the runs, smashing a wonderful 203 in 320 balls (15 fours, 6 sixes), and was last man out. India, now with the belief that the Aussies could indeed be beaten after their exploits at Kolkata, batted with confidence to reach 211/1 at stumps on Day 2. Five of the top six made more than 61 as Australia’s sapped bowling attack was milked with ease. Tendulkar (126) and Dravid (81) shared a 169 run stand for the fifth wicket, before India lost 6/48 to end at 501, a lead of 110. Harbhajan then reserved his best for the last, taking 8/84 to finish with an astonishing 15/217 in the match and 32 wickets in the series. His spell helped India bowl out Australia for 264, and the target was only 155. On the final day, the hosts were cruising towards a historic series win at 101/2 with Laxman (who blitzed 66 off 82) and Tendulkar at the crease. However Gillespie and Colin Miller decided to put one last twist in the tale, and India were suddenly reduced to 135/7, while the eighth wicket fell at 151. Wicketkeeper Samir Dighe was the unsung hero, scoring an unbeaten 22 as Harbhajan fittingly hit the winning runs off McGrath to bring up a two-wicket win and a 2-1 series win for India amid unbearable tension. India in the process regained the Border-Gavaskar Trophy they had lost in Australia just a year back. This Test, the first in a two-Test series, was one of the most exciting of all time, with Laxman yet again proving to be a thorn in Australia’s flesh. Australia batted first and rode on Shane Watson’s 126 and Tim Paine’s 92 to post a healthy 428, with Zaheer Khan taking 5/94 (8/137 in the match). India trailed by just 23 in reply, with Tendulkar (98), Suresh Raina (86) and Dravid (77) hitting fifties to ensure a total of 405. Watson and Simon Katich rattled up 87 for the first wicket in the second innings, but India fought back by taking regular wickets. 87/0 became 96/3 before 154/4 became 192 all out. India needed 216 to win and were on the backfoot at stumps on the fourth day, the score reading a worrying 55/4. On the fifth day, India were in danger of an embarrassing loss at 124/8, when Laxman began to churn out another special knock. Batting at number seven due to injury, he gallantly added 81 with a gritty Ishant Sharma for the ninth wicket, before the latter was out for 31 to make it 205/9 and anybody’s game. After some of the most nerve-jangling moments ever experienced, India scored a 1-wicket win, reaching 216/9 courtesy of two leg-byes. 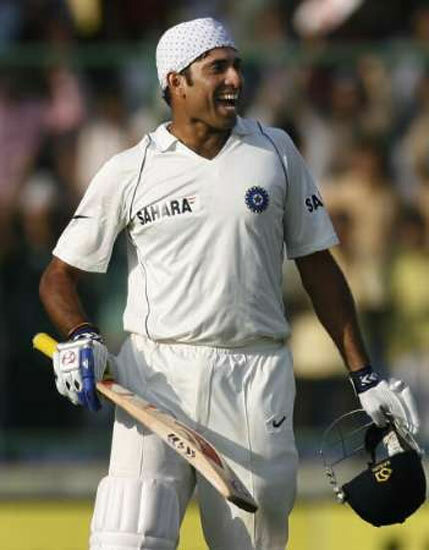 Amazingly, Laxman faced just 79 balls for his unbeaten 73. India went on to win the series 2-0.